How to decide if you need life insurance? Things to consider when taking out a life insurance policy? We also look briefly at alternative insurance products which offer additional protection. Life insurance pays out a lump sum amount of money on the death of the insured life. You can choose the amount of cover that you’d like when you apply for your policy, as well as how long you are covered for and the structure of the product. This product covers you for your whole life. This means that you are guaranteed to receive a payout from your policy when you die. This product is typically purchased to cover funeral expenses or for estate planning purposes, perhaps to cover an inheritance tax liability on death. 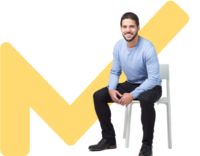 This product covers you for a specified period of time, normally a number of years, chosen when you apply for your policy. So if you die within that term of cover your policy will pay out. This product is often purchased to cover fixed term loans (such as a mortgage), so if you die within the loan term you can rest assured that the loan will be paid off and the liability won’t pass to your family. This is a type of term product, with a level structure, so the amount of cover stays fixed over the term of cover. This structure is useful if you have outstanding loans which won’t change over the duration of cover, for example, an interest-only mortgage, where you don’t actually repay the loan amount over time, rather you just pay interest on that loan amount. This is another type of term product, but with a decreasing structure, so the amount of cover reduces over the term of cover. This structure is useful if you have loans which will decrease over time, for example, a typical repayment mortgage, where you gradually repay the loan over time. This is life insurance specifically taken out alongside a mortgage since this is usually the largest debt consumers have. The term of the policy will match the mortgage term and will have a decreasing structure since most mortgages are taken on a repayment basis. 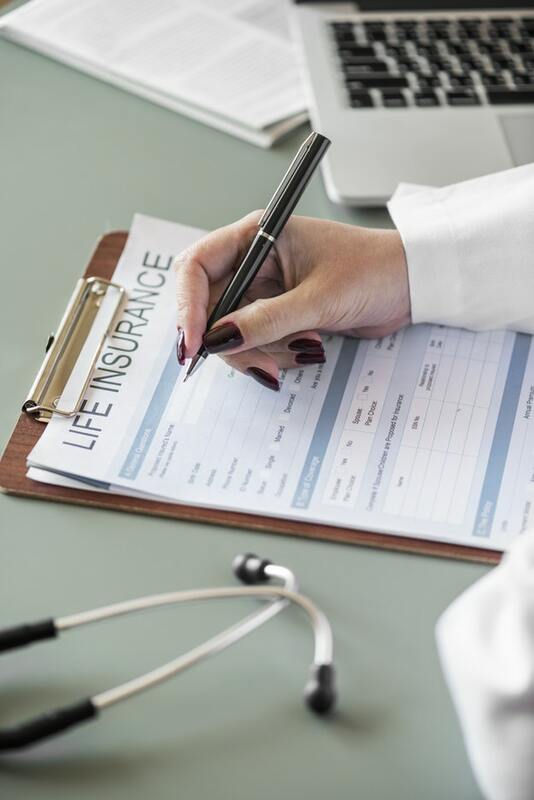 While insurers will pay nearly all death claims, they may not cover suicide within 12 months of taking out a policy or deaths related to any pre-existing illnesses that weren’t disclosed when you initially applied for your policy. Do you have a family that is dependent on your income? Do you have savings, investments or other assets which your family could access to support them financially should you die and your income cease? What later life planning needs do you have? Do you have the funds available to cover your funeral? Is your estate subject to inheritance tax? It is useful to look at key life stages to show how the need for life insurance can change over time. A young, single adult with no dependents, arguably has no need for life insurance. He/she may be living at home still, or possibly renting. Financial commitments will likely be low. A young family, on the other hand, may have an increased need for life insurance. They will likely be spending the majority of their income, perhaps paying their mortgage and other living expenses, such as childcare. This situation is exacerbated if only one parent is working. It’s unlikely they are able to save much of their income and may not have built up any significant investments at this stage in life. Should the working parent die, the family could face financial hardship. A life insurance policy would help to replace the lost income and pay the mortgage and other bills, so the family can maintain their way of life. Retired couple - Later life planning becomes relevant when we think about a retired couple. They’ve built up large pension pots throughout their working lives which they now have access to. They will probably be living mortgage free and their children are likely to no longer be financially dependent on them. They may have assets that they have accumulated over time, perhaps properties or other investments. They will probably be able to cover their own funeral costs using some of these assets, but they may need to consider inheritance tax owed on their death. This tax liability would reduce the amount they can pass on to their children. However taking out life insurance, specifically a whole of life policy, can cover this tax bill. One other point to consider when deciding if you need life insurance is whether you have access to any other forms of life insurance already. Many employees have what’s called a death in service benefit, which is offered through their work. This benefit pays out a tax-free lump sum amount of money, typically 2 - 4 times annual salary, if the employee dies during the time that they work for the company. This is a useful benefit, and many consumers believe that they don’t need a separate life insurance policy if their employer provides this cover. This may be the case, but just a few points to note; not all employees are eligible for this benefit, so it’s worth speaking to your HR department to check whether you are covered. The death in service cover only lasts while you work for that employer, different employers provide different levels of cover, so if you move jobs you may receive a reduced payout. The amount paid on death under this benefit may not fully cover all of your financial needs. It’s important to work out exactly how much your death in service benefit will pay out, and whether a small life insurance policy alongside it should be taken to provide additional financial protection where necessary. Some consumers may have life insurance policies which cover the whole family. If your parents have one of these policies you may believe that you don’t need your own separate life insurance policy. This might be true, but consider whether the amount of family cover your parents have meets your financial needs? When does this cover end? Is the structure right for your financial situation? People’s needs are different and so should be the insurance solutions designed to meet these needs. The cost of life cover will vary greatly depending on your specific circumstances. The monthly premium charged by the insurance company reflects your risk and the chances of you making a claim. The higher your risk, the higher the monthly premium. Here are some life insurance comparison costs looking at the impact of age and smoker status on the life insurance premiums charged. The quotes show monthly premiums for a benefit amount of £100,000, with cover for 25 years and a level term structure. The premiums quoted are guaranteed premiums, which means they are fixed and will not change over the term of cover. So you would pay the same amount each month to the insurance company over the 25 years, in this scenario. To compare a wider range of life insurance quotes, that reflect your personal circumstances, use this helpful life insurance quote calculator? If you aren’t sure how much life insurance you need we would recommend you talk to an independent insurance adviser who will be able to assess your finances and calculate the right amount of cover for you as well as analysing the insurance market and recommending the most suitable product. Few life insurance policies are placed in trust, however, trusts have three important functions when it comes to life insurance. Firstly, they give you control over your policy, in particular the payout. Trusts are legal agreements which allow you to specify who you would like to receive the life insurance payout, the beneficiary, should you die. Secondly, they provide your beneficiary with quicker access to the money from the policy. This is because the policy won’t need to go through a legal process called probate, which involves authorising access to funds. Thirdly, they can help you to reduce your tax liability on death, namely inheritance tax. If your policy is written into trust the proceeds will be paid directly to your beneficiaries, so won’t be subject to inheritance tax which is applied to the total value of your estate. Trusts, while complicated, are very important. If you’re considering purchasing a life insurance policy we would highly recommend that you talk to an independent insurance adviser who can set up the relevant trust to meet your needs. Life insurance policies can be taken out to cover one life, a single life policy or multiple lives (known as a joint life policy). Joint life policies are usually taken on a first death basis and will pay the benefit amount once, on the first death. These policies are typically used when budget is a concern, in which case a joint life policy may be cheaper than two single life policies (but not always). A key point to be aware of is that once the policy has paid out, cover will end and the surviving life will have no insurance left in place. In addition, the relationship between the people covered under a joint life policy may change over time, in which case it might prove difficult to split a joint life policy into two separate single life policies at a later date. You may feel that life insurance is not the right product for you. Perhaps you’re young and don’t yet have a family that depends on you, maybe you already have sufficient life insurance through your employer. Critical illness insurance pays you a lump sum amount of money if you develop one, of around 50, defined illnesses, during the term of cover. The policy still pays out even if you make a full recovery. You can use the payout from a critical illness policy as you wish, maybe to pay off debt, perhaps a mortgage, or alternatively to pay for private medical care or to supplement your income if you were unable to work. A critical illness policy is more likely to pay out than a life insurance policy, and for that reason will be more expensive. Income protection insurance is a product which replaces part of your income should you become unable to work due to illness or accident. The product pays you a monthly income and continues to make these payments until either you return to work, your insurance comes to an end or you die. This means that should you lose your income due to poor health this insurance product can act to cover your regular outgoings so you and your family can maintain your way of life. This product is significantly more likely to pay out than a life insurance policy, which you will see reflected in premiums quoted. Take a read of our article - Income protection do you really need it? - to understand what it covers, what it costs and whether it’s the right product for you.